and is complete . . .
Those words sum up this collection of short stories by Giulio Mozzi. Some are very good, some less so. All involve the reader in situations that are uncomfortable (almost painful): a letter from a thief to the woman whose purse he’s stolen; an author at a book signing addressing the audience; an apprentice who dreams of being promoted. Stories that create the kind of emotional response that takes the reader to a place they don’t necessarily want to be are the kinds of stories I’m usually drawn to. But this collection had me feeling look-warm. Not excited. Not disappointed. I kept waiting to be moved and wasn’t. Yet, there is still a lot left to admire. The Apprentice puts us in the head of a young apprentice who wants nothing more than to be promoted from running errands to working on the factory floor. He’s incredibly earnest and intelligent, character traits that separate him from the men he aspires to join. From the very first paragraph we know what the boy doesn’t, for the simple reason that we possess the life experience he doesn’t. 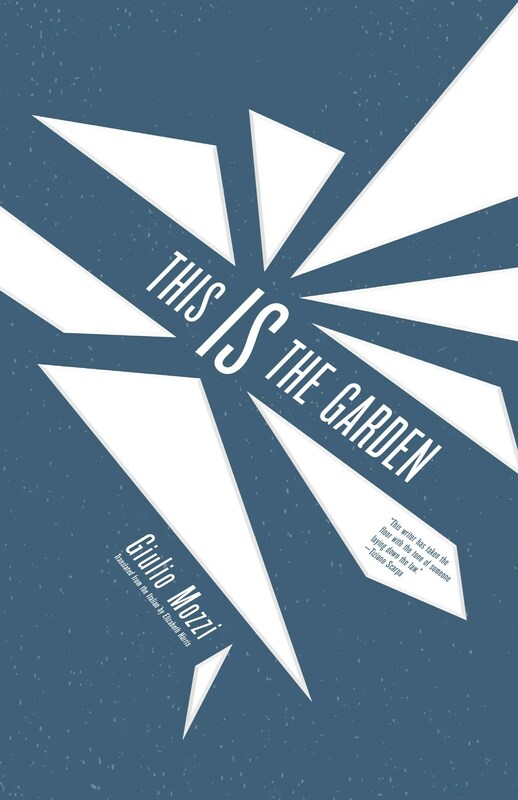 And Mozzi’s ability to impart that time of life when naivety is transitioning into a faltering understanding of how the world operates is special. He nails it. Too often young narrators are really only adults looking back on their younger selves. But Mozzi’s apprentice is grounded firmly in the moment. F. is firmly grounded in its protagonist’s present, following the final hours of a magistrate in witness protection. His keeper has arranged a meeting with the beloved magistrate’s wife (also under witness protection, but inexplicably kept in a separate location from her husband). The crime and threats and reasons for the couple’s voluntarily separation only lightly touched on. Instead F. focuses on the magistrate’s daily reality, detailing his day almost second-by-second, up until the very last second of the magistrate’s life. Another favorite is Glass. The story is only a few pages long – the shortest in the collection. In that short space you get the sense of a troubled man finding his way back from something – again, never specified – which has unbalanced his life. He meticulously describes his yard to the reader: repairs done to the porch; the wall shared with a neighbor. … and so on. The glass of the title is a metaphor and the overall effect of that, and this compulsive cataloguing by the narrator, is haunting. A borderline OCD attention to detail, creation of lists and step-by-step reenactments of events appear in all of Mozzi’s stories. If This Is a Garden were a painting it would fall within the purview of the hyper-realists. From the opening pages of his newest book one gets the feeling that Umberto Eco wanted to create his own version of The Da Vinci Code. 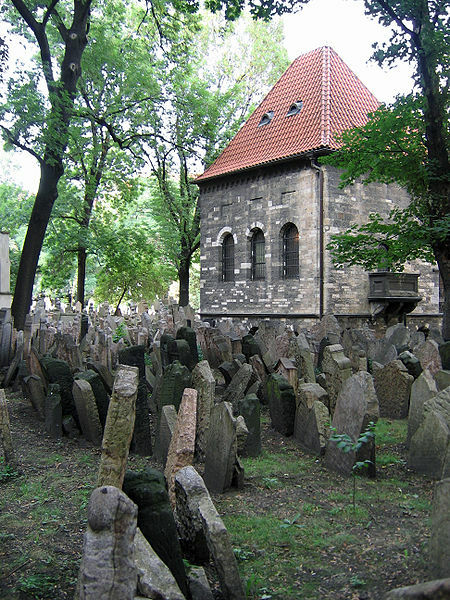 Like that novel The Prague Cemetery is compulsively readable. The prose is wonderfully playful – Eco at his best. It dances along while pulling readers happily behind… almost against their will. Because Eco isn’t writing about the Knights Templar or Catholic mysteries. Instead he invites us to take a front row seat at the founding of modern antisemitism. Obviously, this shouldn’t make for the most enjoyable reading experience. Yet somehow (as uncomfortable as it is to admit) it does. The Prague Cemetery plays at being a swashbuckling adventure story told from the perspective of the evil Svengali: one Captain Simone Simonini. Eco layers in conspiracy theories and enough historical references to keep any Wikipedia junkie employed for hours. The novel’s plot is fairly complicated. It employs three narrators, all speaking in the first person. The main protagonist, Captain Simone Simonini is an expert forger, a spy, and an altogether shady character. Much of the book is his personal diary. He is writing the story of his life in an attempt to get at the root cause of the sudden lapses in memory he has been experiencing. He’s been, in effect, loosing time (see dissociative amnesia). Despite the fact that he has had some remarkable and fascinating adventures, Captain Simonini is repulsive. Eco has famously stated that this man (the only truly fictional character he claims the novel contains) was created to be “the most cynical and disagreeable [character] in all the history of literature”. Simonini is defined by a hatred which he does not confine exclusively to the Jewish race, though they do bear the greater part of it. But, make no mistake, no one is safe. In the early chapters he goes on a tirade bashing the Italians, Spanish, French, English, Prussians and women – the entire gender. We’re told that “his dislike of others induced him to make the best of his own company”. At points it borders on the darkly comedic. Which is a large part of why The Prague Cemetery manages to entertain. Simonini (and his motley underground network) are farcical… and Eco doesn’t hesitate to play them for all they’re worth. The individual plot points – “the fact that history can be quite so devious” – are stunning yet believable. But by stacking these episodes precariously one on top of another they appear ridiculous and incredible. The author forms them into a wobbling tower of implications (the usual foundation of conspiracy theories) and proves how flimsy the supporting evidence is. This is important because even though the unifying figure of Simonini is a complete work of fiction, the events he describes and the conspiracy constructed out of them is not. Simonini traces his hatred of the Jewish race back to childhood, where he learned it at the knee of his grandfather. The grandfather took his own antisemitism so far as to write a letter to the Jesuit Priest Abbé Augustin Barruel (the letter and both men actually existed) claiming to know details of a conspiracy by the Jews to take over the world. This becomes the foundation of a forged document that Simonini will return to and re-work again and again throughout the course of his life, referring to it as “the meeting at the Prague Cemetery”. He develops his document through plagiarism, conspiracy theory and over-the-top melodrama. He describes his life’s work as “Better than Dumas, and better than the Jesuits”. Eventually it will evolve into something horrible – The Protocols of the Elders of Zion – a forgery that is the cornerstone of antisemitism in the 20th century. still offensive. Worse still are some of the illustrations, racist caricatures of Jewish men that caused me to cringe and quickly turn the page (in the interview I link below Eco describes being embarrassed by them). But, while The Prague Cemetery is at times deeply unsettling, it is also an amazing achievement. A book that encompasses a wide arc of 20th century history. From Garibaldi’s campaigns in Italy, Alexander Dumas’ novels, the Dreyfus Affair, The Franco-Prussian War, Jesuits, Masons, the intrigues of the Catholic Church, Satanic rituals, the discoveries of Sigmund Freud and the foreshadowing of Hitler’s final solution (listed with no apparent order in mind) – Umberto Eco manages to weave it all into an intelligent, challenging story that will hold his reader’s attention until the very last page. 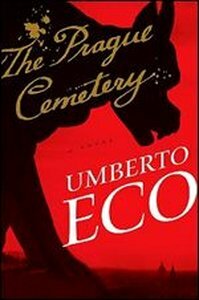 Note: The Paris Review published a wonderful interview (November 15, 2011) with Umberto Eco on The Prague Cemetery. It answered many of my questions in a surprisingly short space and I highly recommend it to anyone reading the novel. 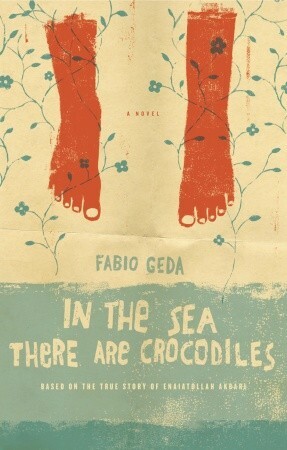 The extended title of Fabio Geda’s novel In the Sea There Are Crocodiles is Based on the True Story of Enaiatollah Akbari. Geda explains in his introduction – the events are true, but because “Enaiatollah didn’t remember it all perfectly… this book must be considered fiction, since it is a recreation of Enaiatollah’s experience – a recreation that has allowed him to take possession of his own story”. This struck me as an intelligent choice to make in today’s climate of debunked memoirs. A choice which in no way detracts from the power of the story and a route I’m surprised more authors don’t choose. In the Sea There Are Crocodiles begins with Enaiatollah Akbari recounting the last time he saw his mother. He was 10-years-old. She smuggled him out of their small Afghanistan village of Nava and across the border into Quetta, Pakistan. Their Hazara (Shia) family was targeted by a gang of Pashtun (Sunni), who threatened to sell Enaiatolla and his brother into slavery as a means of recouping money they claim the boys’ father owes them. Their father is dead. His mother took him to Pakistan as a last resort. He’d grown too big for her to hide. But she does not explain any of this to him. She does not prepare him. The boy falls asleep to the sound of his mother’s voice and when he wakes she is gone. So begins Enaiat’s new life. One which will take him on a five year journey from Pakistan to Iran, Iran to Turkey, Turkey to Greeze, and eventually all the way to Rome, Italy. Enaiat tells his own story in a charming and engaging voice, creating the impression that we are reading a transcript. Small asides between Geda & Enaiat, highlighted from the main text in italics, further the feeling of intimacy. In the Sea There Are Crocodiles is a small, slim book. The writing is unexpectedly sophisticated – it’s difficult to describe. Events are relayed simply, starkly, without embellishment…as a child might. Several times the author asks for more details. He tells Enaiatollah that readers will want more specifics. The boy is adamant – all that matters is what happened. The characters are transient – interchangeable – they could be anyone. The facts are the universals. In this way, how his mother left him sets the tone for his entire story. Reasons go unexplained. Emotions are not examined. He is not happy or sad, things are not good or bad. Everything is about survival. And Enaiatollah Akbari survives. Through most of the book the reader is given the impression that he has moved through his adventures in a giant, soap bubble – breezing through episodes of horror and unpleasantness unscathed. People are kind to Enaiat. As you read it, his does not strike you as a sad story. Despite characters dying, no one is mourned. When a young companion of Enaiat’s drowns during the treacherous water crossing from Turkey to Greece, it is dealt with in just a few sentences. Afterwards the boy’s name, Liaqat, is never mentioned again. These high waves were different from normal waves. They got mixed up with the others, and the dinghy made a strange movement, like a horse stung by a bee. And Liaqat couldn’t hold on. I felt his fingers slide over my shoulder. He didn’t scream, he didn’t have time. The dinghy had suddenly tossed him out. Let me get this right. Liaqat fell into the water? And what did the rest of you do? We looked for him as best we could, hoping to see him among the waves, and we shouted. But he disappeared. What initially appears as an attempt to down-play the brutality of the situation could have something to do with the target audience. Separate adult and YA English translations, with different covers, were released simultaneously. (Personally, I’m not sure why the distinction was made – since the whimsical cover of the adult edition could easily work for YA). And while the subject matter is on the mature side, the basic level on which it is written should not be difficult for an 11-12 year old (the age of Enaiat was at the time) to read on their own. Events are dealt with and overcome, not psychologically explored. Which somehow makes them seem less disturbing. That’s where the sophistication I had trouble explaining earlier comes into play. Sometimes the most complicated, carefully designed objects are deceptively simple in appearance. But that kind of simplicity takes skill to achieve. And Fabio Geda has achieved it. Publisher: New York, Doubleday (2011). *Only , in the end, it doesn’t seem so extraordinary, does it? According to a report prepared for the members of the U.S. Congress in 2007, 56.2% of the Afgani refugee population is under 18. That’s a lot of children who are potentially in the same situation as Enaiat.